Everyone has rough days. It's OK, we get it. It's too early, it's too late, we're grumpy or bored, and the last thing we want to do is converse with someone. This seems to be the case with this little guy, who just didn't have it in him to talk with President Obama -- and that moment happened to be captured by a White House photographer. 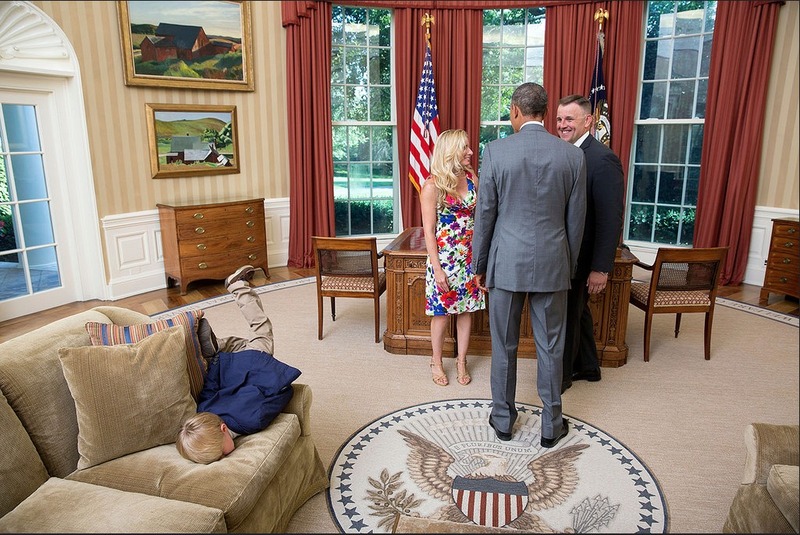 The image was uploaded to the White House's Flickr account with a caption saying that the boy's father is a former Secret Service agent. Unfortunately, that's all we know about the meeting between the boy, his parents and the president. We think a writer for Metro put it best, saying instead of talking face-to-face with the leader of the country, the boy "opted instead to go face-to-face with a sofa at the White House." Hey, maybe it was a really comfy couch -- and not surprisingly, the anchors on the morning shows couldn't contain their laughter after viewing the photo. Amy Robach from ABC said, "My favorite part is if you look at the picture, the President and his parents have no idea what he's doing. It's just after they see this photo. He's going to be in big trouble." Aw, hopefully not too much trouble. Even more interesting: While this story is getting a few laughs in the U.S., the majority of the commentary is actually coming from our friendsacross the pond. To be fair, over here in the U.S., we can't stop talking about the news that Prince William and Duchess Kate are expecting another child. So we'll just call it even.